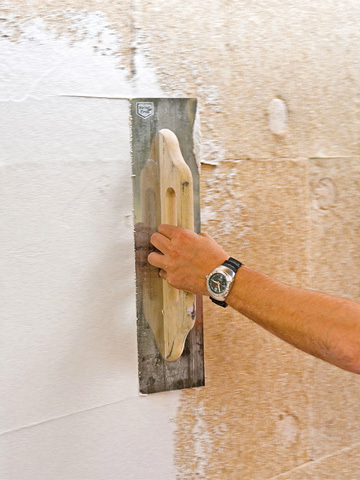 Building insulation is a subject of much controversy. Some prophesy a mountain of hazardous waste will be caused by composite thermal insulation systems, while others emphasize how important it is, for it is better to save energy today than tomorrow. Caparol could bring both camps together with its new product “Capatect System Natur+”. 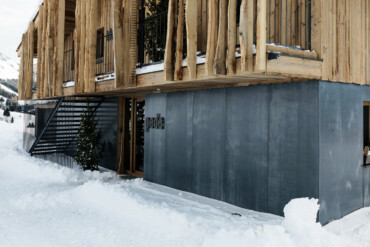 The façade insulation system consisting of hemp fibers combines structural and ecological qualities, is recyclable, and is free of chemical additives. And if that were not “green” enough, the hemp comes from organic, regional sources. A joint effort often gives rise to meaningful solutions. Such was the case when Carpet Concept teamed up with the Lindner Group, pooling their expertise in “CAS Rooms”. 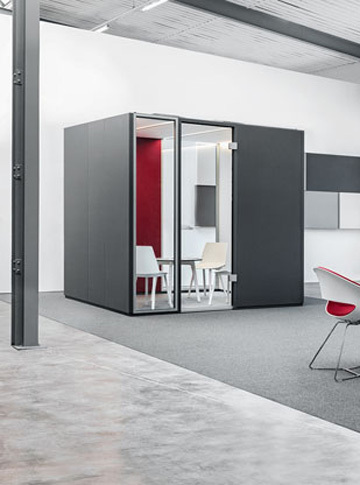 The rooms, which can be used flexibly, with their vertical acoustic elements provide for small areas for focused work in open-plan offices and at the same time offer space for notices, which can be pinned to the surfaces, without reducing the quality of the sound absorption. 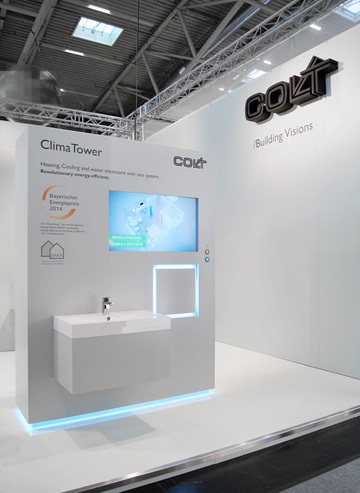 Colt’s latest development is less a product and more an intelligent low-energy air-conditioning system that can lower energy costs by up to 70 percent. 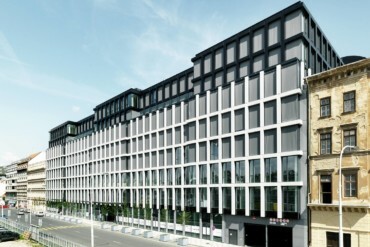 “Climatower” was first tested at the Campo dei Fiori “zero-energy hotel” in Munich. The system operated by Climatower functions as follows: The solar thermal and photovoltaic system on the building’s roof – a gray water treatment system and a hybrid storage unit – provide the required heating and cooling. All the building’s internal resources, such as wastewater from the showers, waste heat from the servers and cooling units, are used as heat sources and form a closed energy cycle. The building’s own water cycle serves as a neutral conductor and transports heat and energy flows inside the edifice. Haver & Boecker have jumped onto the 3D bandwagon. The rustproof stainless-steel mesh elements can be produced and then assembled in different sizes and shapes. The substructure is the only thing that needs to be individually adapted to the project: Depending on the construction plans, either a horizontal or a vertical version can be realized. 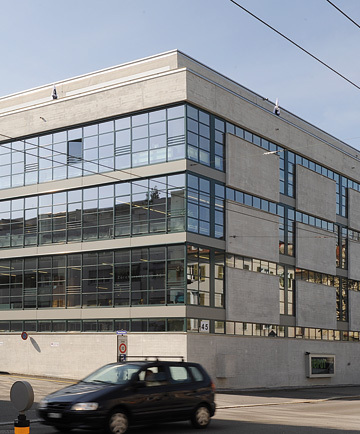 It would have been better if Jansen’s product “Janisol Arte” had been around decades ago, before the filigree, single-glazed windows of the old industrial buildings were replaced by bullish double glazing. But better late than never. With the thermally insulated and slender steel profile system “Janisol Arte”, highly stable panes with fine grid dimensions are at long last available. Alongside windows and fixed glazing, sliding panels up to three meters wide and 2.5 meters high are now also able to be installed. 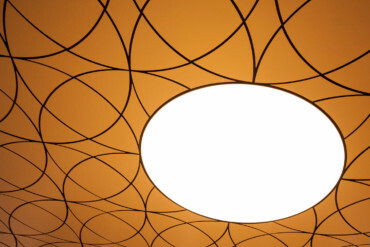 Mosa stands for elegant, sustainable and durable ceramics for floors and walls. 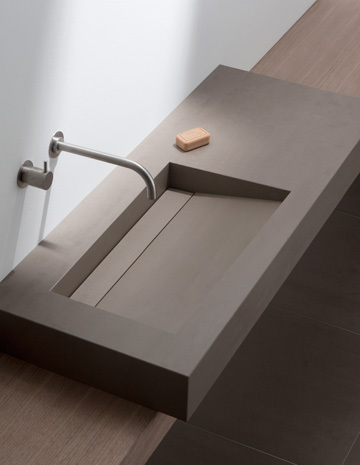 Now the Dutch manufacturer is also making waves in the bathroom furniture sector with the “Elements” collection: “MonoCube”, “SubCube” and “TopCube” are compact, monolithic washstands and perfectly match the wall and floor tiles in the series “Terra Maestricht”, meaning that the “Elements” meld into one with the wall and floor. And of course, the new elements are also offered with the “Cradle to Cradle” silver certification typical of Mosa products. 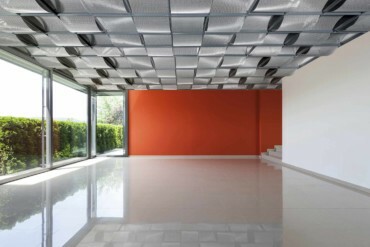 “Cover” is an advanced version of the “Kolumba” tile, originally developed by Petersen Tegl together with Peter Zumthor for Museum Kolumba in Cologne. 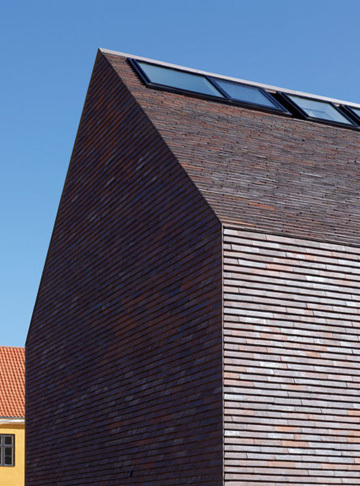 Its unusually flat format (528 millimeters wide, 170 millimeters deep and just 37 millimeters high) is now not only available for façades, but also for roofs. So now buildings can be tiled from head to toe. “Vintage” is the name of the new surface for Rieder’s “Fibre C” and “Öko-Skin” Products. 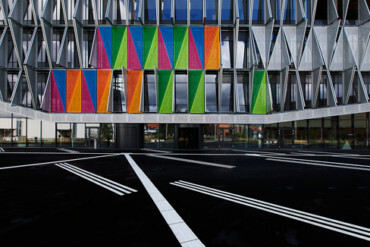 Using a new manufacturing technique, Rieder lends the panels a lively surface with color shades and cloud effects. No two “Vintage” panels are alike – almost as though concrete were a natural material like marble or wood, with their attractive irregularities. 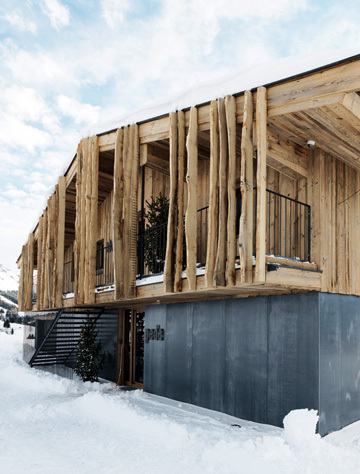 The random aspect of the new production process lends façades a diverse appearance and the Rieder products a touch of the handmade. 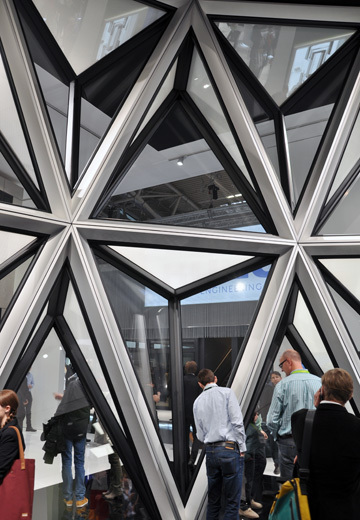 The Schüco system façade has now taken on an angular, spikey appearance: The “Schüco Parametric System” enables architects to create three-dimensional frontages based on previous Schüco construction elements. The corresponding 3D planning and tendering tool supports the architect throughout the entire planning and production process from the initial idea to the finished structure. With full cost transparency and including data exchange with machine control and installation instructions into the bargain. 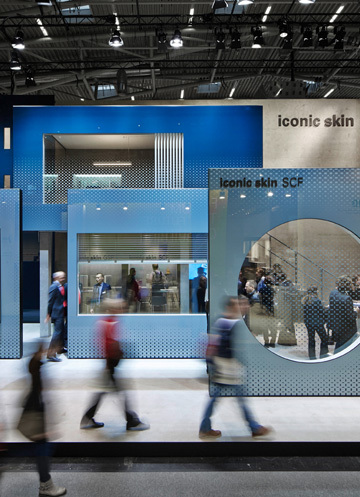 The innovative “Iconic Skin” by Seele is a well-conceived complete façade solution that is available in two versions: “Iconic Skin GSP” (Glass Sandwich Panel) and “Iconic Skin SCF” (“Self Conditioning Façade”). Both are multifunctional, highly insulating façade elements in which the requisite load-bearing and functional elements are already integrated – Seele precision and quality included. 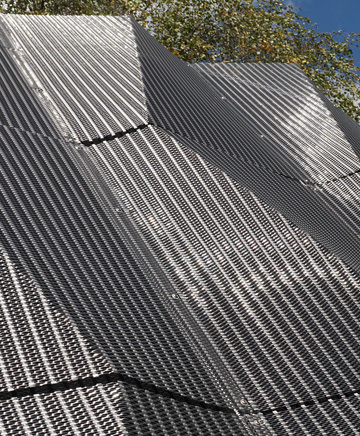 “Iconic Skin GSP” is based on highly insulating sandwich panels fitted with glass in the factory. This reduces costs and is suitable for windowless building shells such as for industrial and commercial buildings. 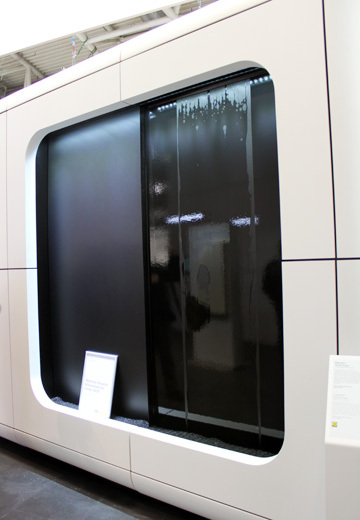 For both products, which are available up to a height of 14 meters, the architect can choose the color design and opacity of the printed glass. 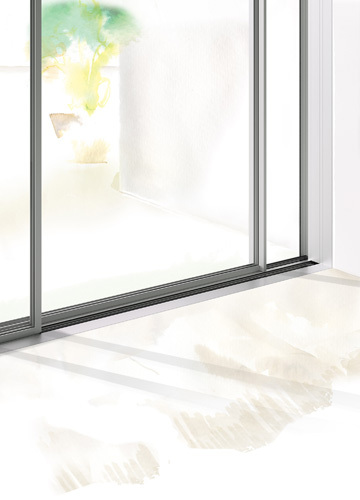 We instantly think of elegant Neutra buildings and Californian lightness: The aluminum profiles of the Cero sliding windows are just 34 millimeters wide, and even measuring six meters high and four meters wide they are still easy to slide by hand. “Cero” is available in three versions: “Cero 2” and “Cero 3” are thermally insulated models with double and triple glazing, while “Cero 1” is an uninsulated system and as such suitable for use in places where heat insulating properties are not required. It was a desert beetle that inspired the developers at Sto to create a new outdoor wall paint, namely “StoColor Drytonic”. So as not to die of thirst in the heat of the desert, Namib Desert beetles do a headstand at daybreak so that the morning dew can condense on their backs. The microstructure of the shell of the beetle’s back served as the model for the new façade paint, which is also Germany’s first carbon-neutral façade coating. 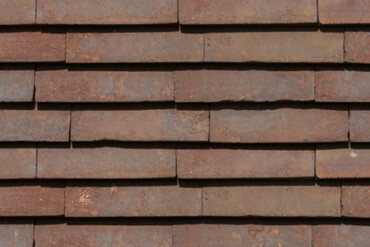 The surface structure causes rainwater and in particular dew to run off, ensuring a clean and dry façade in a matter of seconds – without the need for biocides.